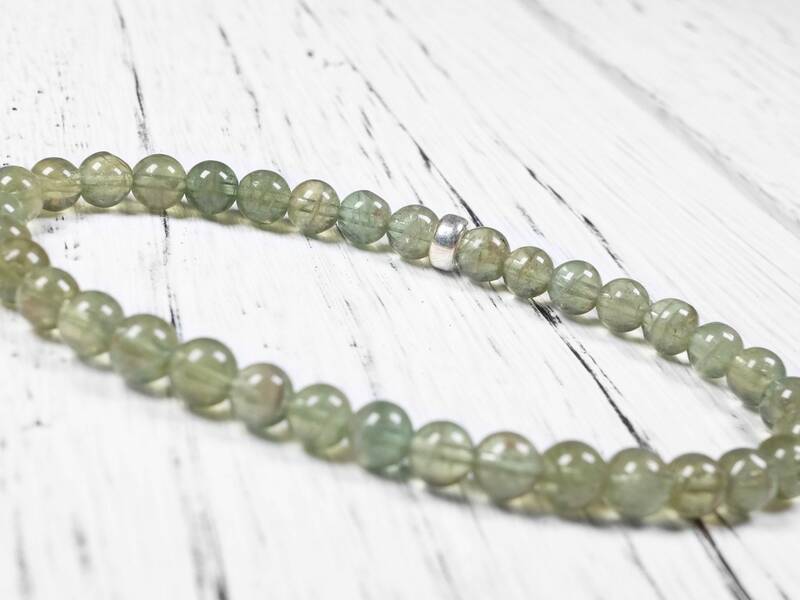 This natural green apatite has very nice translucency, which means that you can see through the crystals. 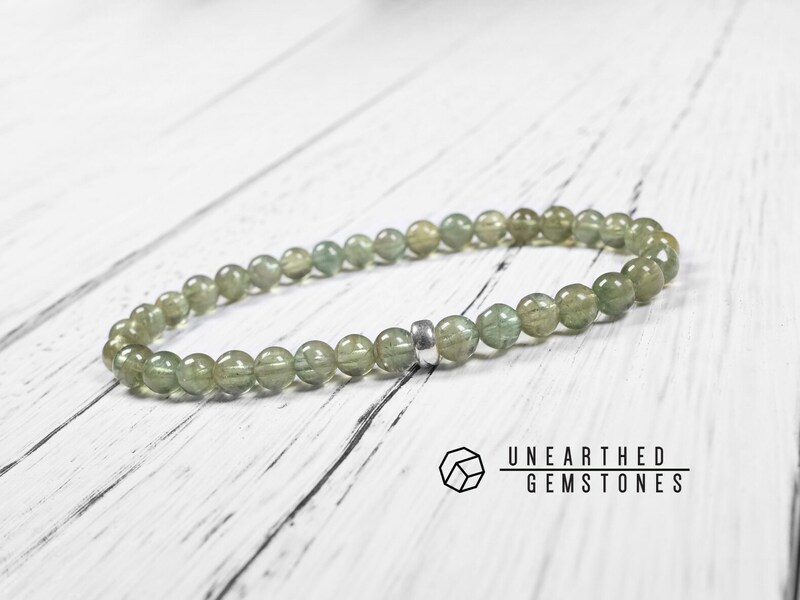 Moderate amount of internal imperfection as it's a natural apatite. 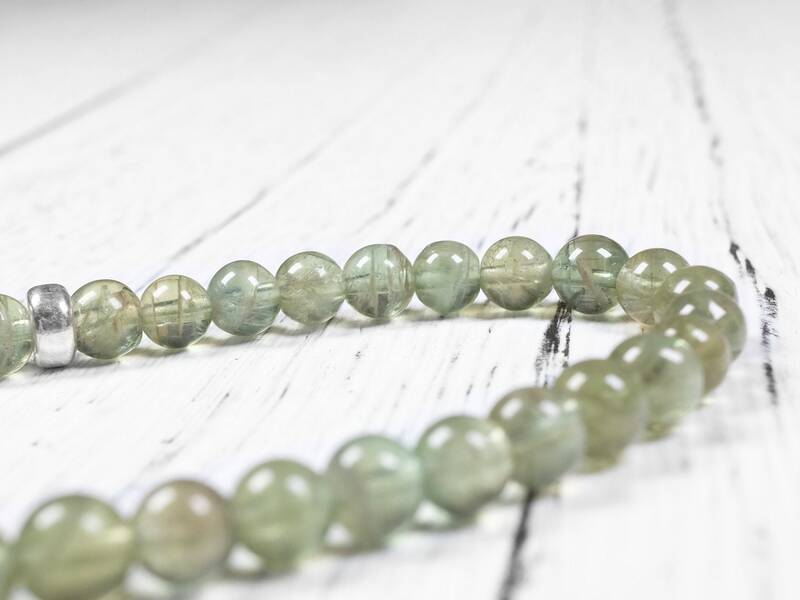 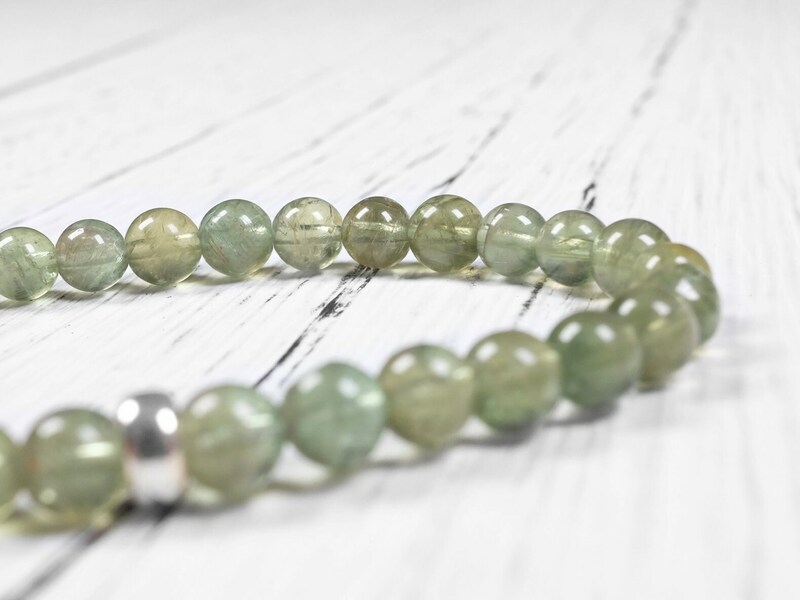 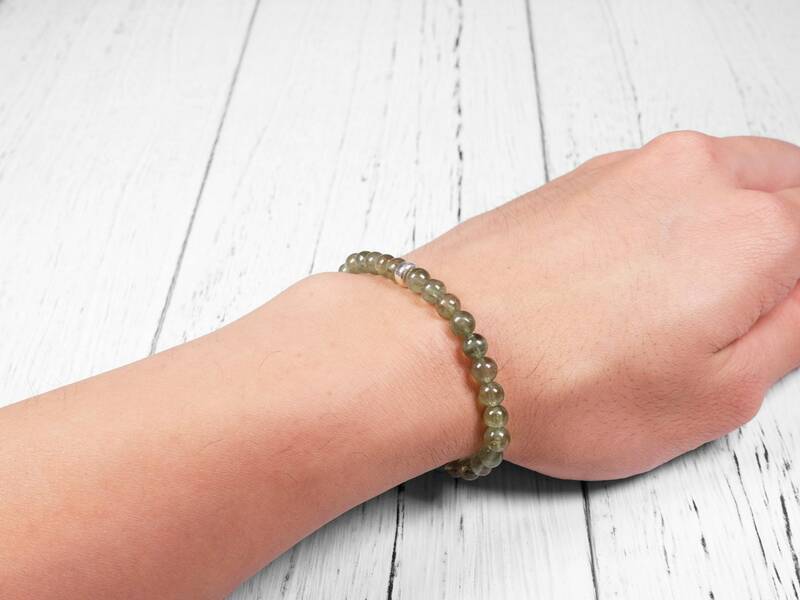 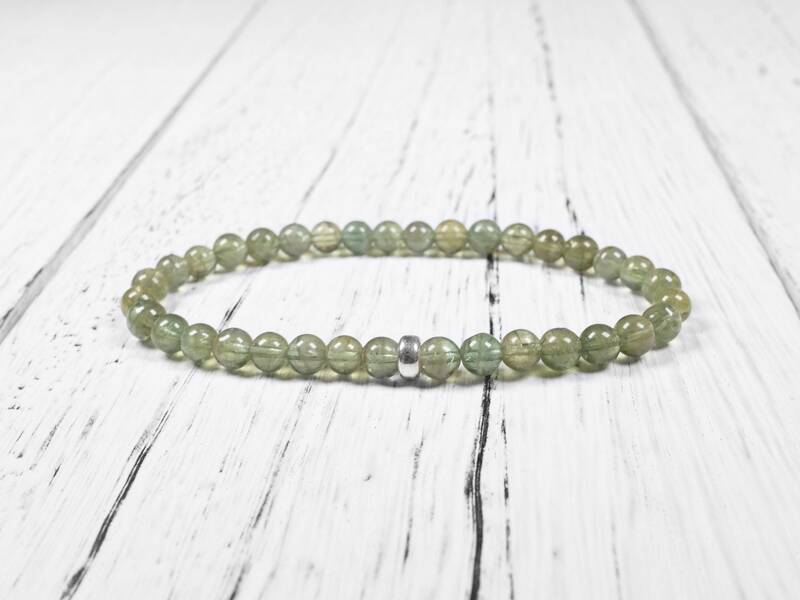 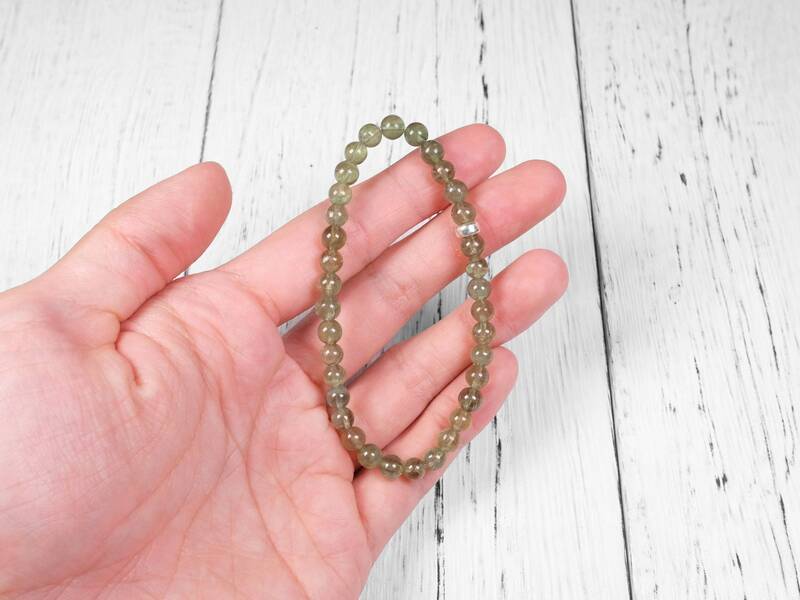 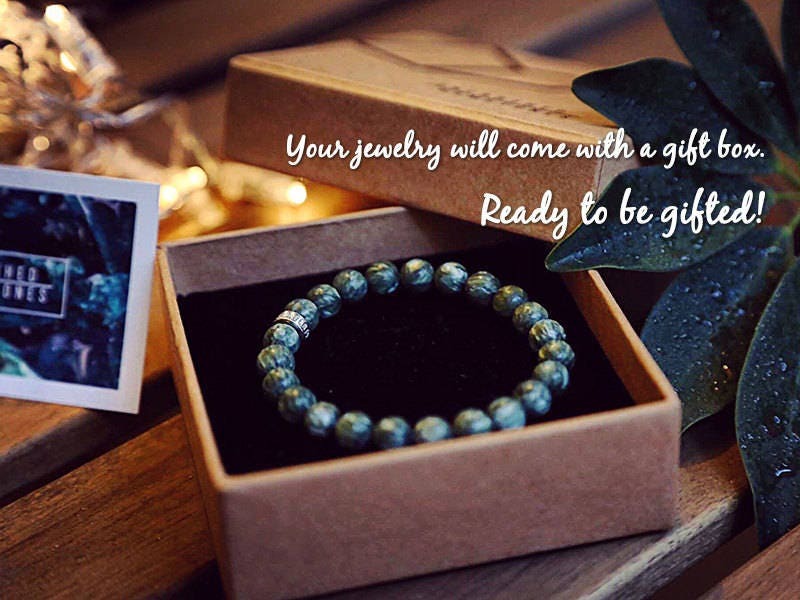 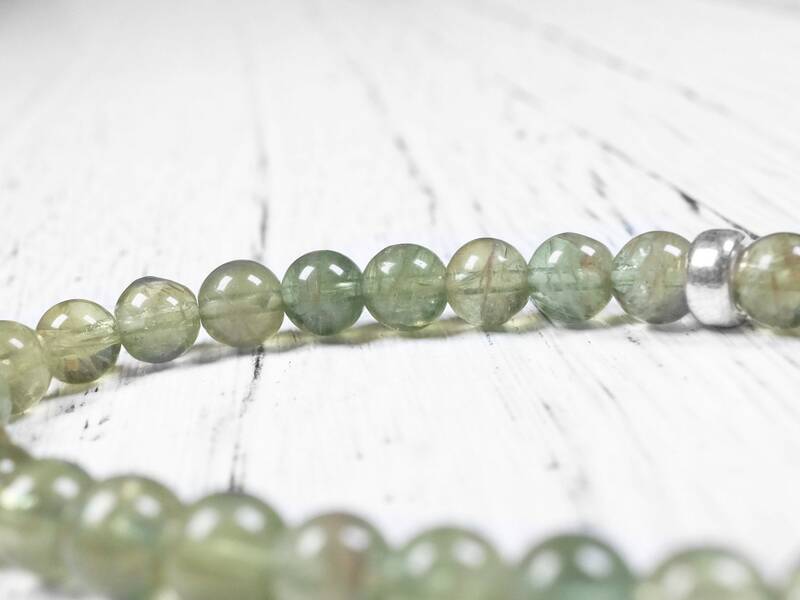 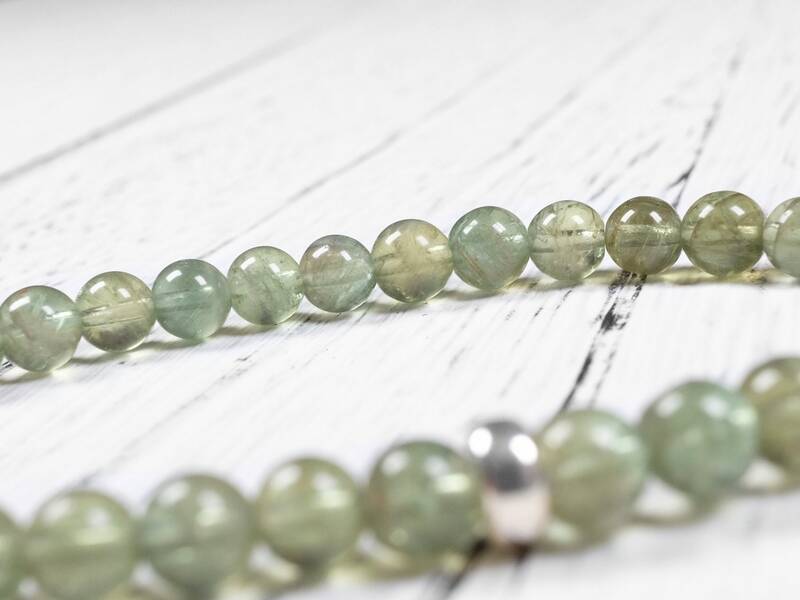 If you are looking for a good quality natural apatite bracelet, this will be a great choice.